January 28th is a significant date in Packer history. 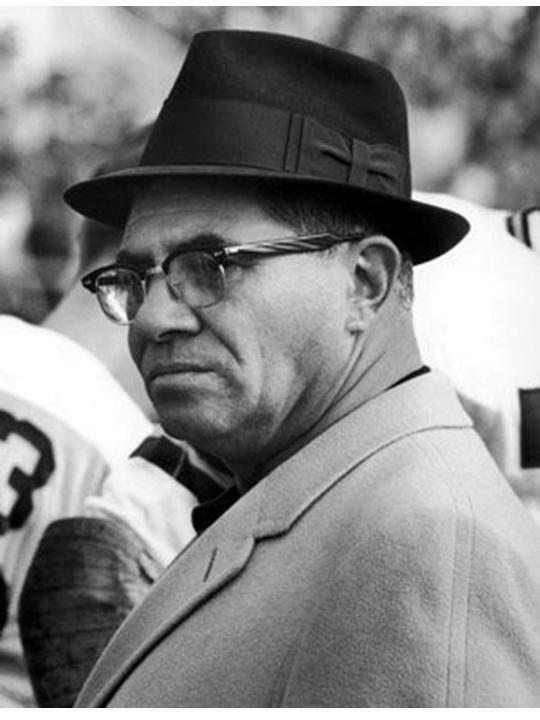 In 1959, a man named Vince Lombardi signed on to become the head coach of the Green Bay Packers. Of course, Lombardi would go on to win a handful of NFL championships, including the first two Super Bowls. Lombardi may well have changed the course of the franchise, although you certainly don't need me to tell you that. Without a doubt, though, he set a tone for the Packer organization that still rings today. For more on Lombardi and how he developed his winning philosophy and shaped the Packers to meet those desires, check out the excellent Lombardi biography When Pride Still Mattered by David Maraniss. It's a weighty, in-depth look at one of the most legendary coaches in the history of American sports.